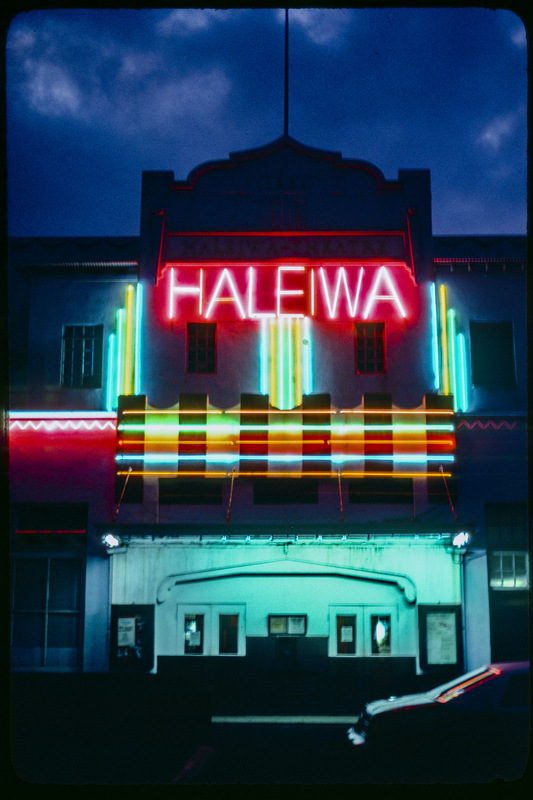 This was the most famous landmark in Haleiwa until it was illegally torn down. Captian Haleiwa, dressed in full super hereo attire, tried to save it by tieing himself to the building while they were slamming the wrecking ball into it. Unfortunatly, his valiant effort didn't work and the theatre was torn down for a 7-ll which is now the location of the North Shore WRV store.